We are craft cidermakers, trading from our working farm just outside of Langport. You will be made most welcome to visit us at our cider shed (aka "The Shack") where you will be able to sample and buy our cider (Gold Rush Cider) or our new bottled slightly sparkling cider (5 Acres), and apple juice. 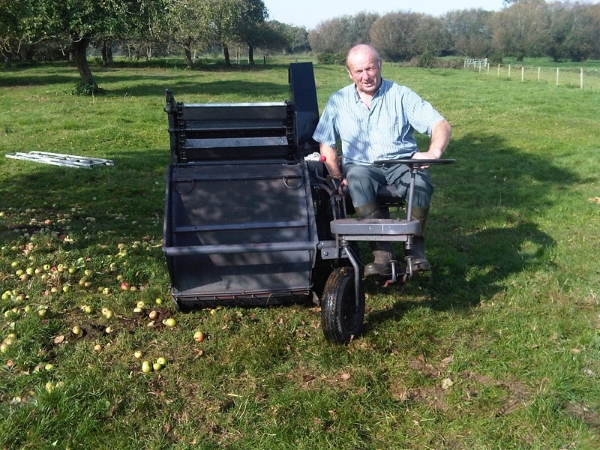 At the Bere Cider Company we use age old traditional cider making techniques. Our product range is made from 100% English cider apples, many of which we grow in our own orchards. We currently run around 5 acres of orchard growing a total of around 10 commercial varieties. We also source within a 10 mile radius additional apples from local farmers orchards. Most of our varieties are traditional cider apples known as ‘bittersweet’ or ‘bittersharp’. These apples are chosen for cider-making for their fibrous nature which makes them easy to press. Bittersweet apples also have high levels of tannin which is essential for producing great tasting cider. After visiting the cider farm, why not take a short walk or a drive up to the village of High Ham, with its panaramic views over open countryside from the Mendips and Glastonbury Tor to the hills on the Somerset/Wiltshire border in the east, and across Sedgemoor to the Quantocks and Bridgwater Bay in the west. The National Trust has over an acre of grass and woodlandat Turn Hill at a height of 100m looking across the Battle of Sedgemoor fields to the Quantocks and is an ideal place to put down the picnic rug, crack open your recently purchased farmhouse cider and tasty cheddar cheese and soak up the sun, views and delights of Somerset. The farm is open 7 days a week a from 9am to 6pm. Members of the South West of England Cidermakers' Association.